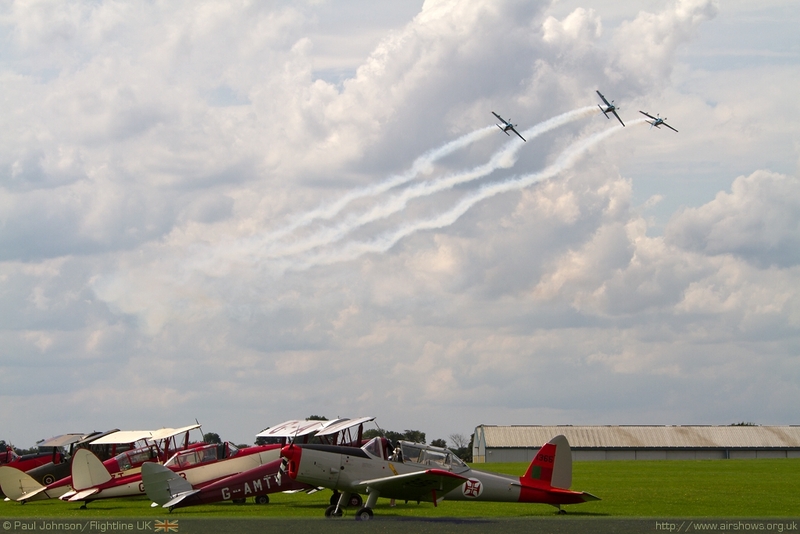 Sywell Aerodrome in Northamptonshire is perhaps best known as the base for the Blades Aerobatic Team and its parent company, 2Excel Aviation. 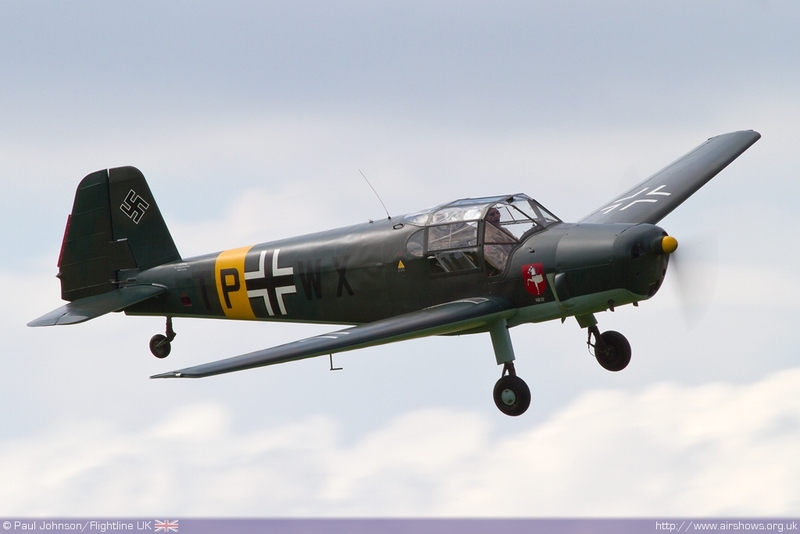 However every two years the airfield hosts its own airshow. 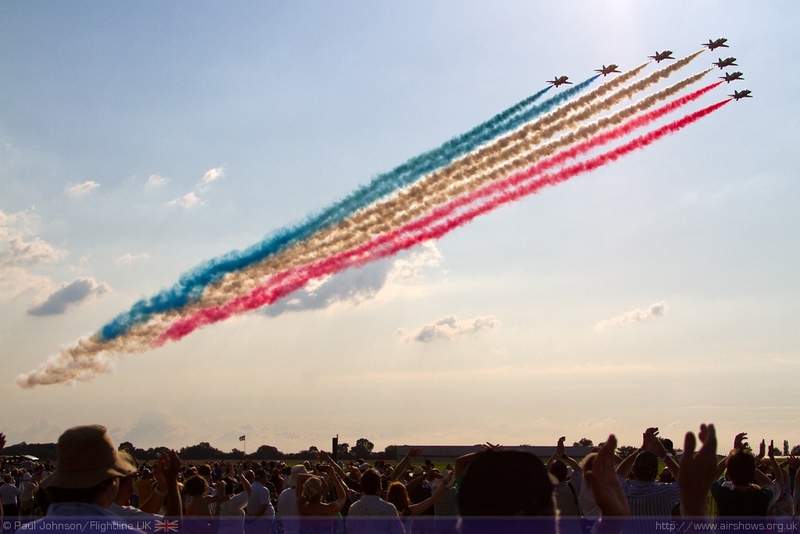 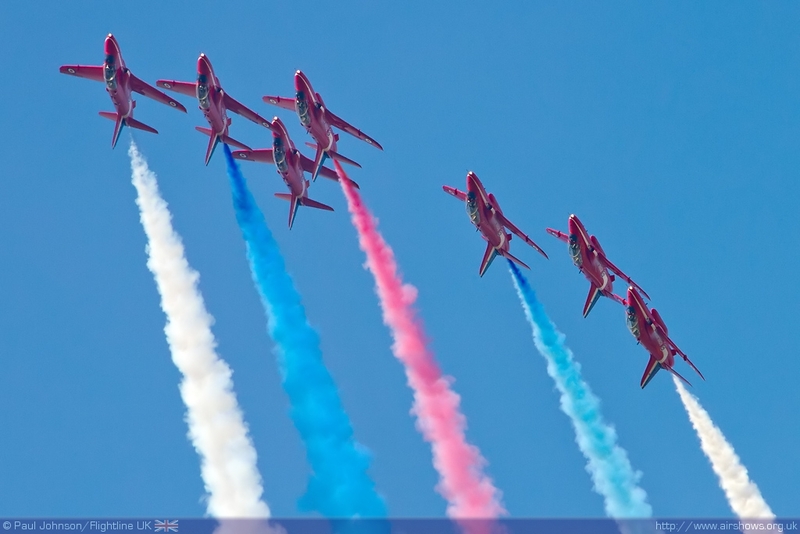 Through clashes with other events, Flightline UK has always managed to miss this event which has always had positive reports but the re-shuffled 2012 airshow calendar at meant there was no excuse to miss it! 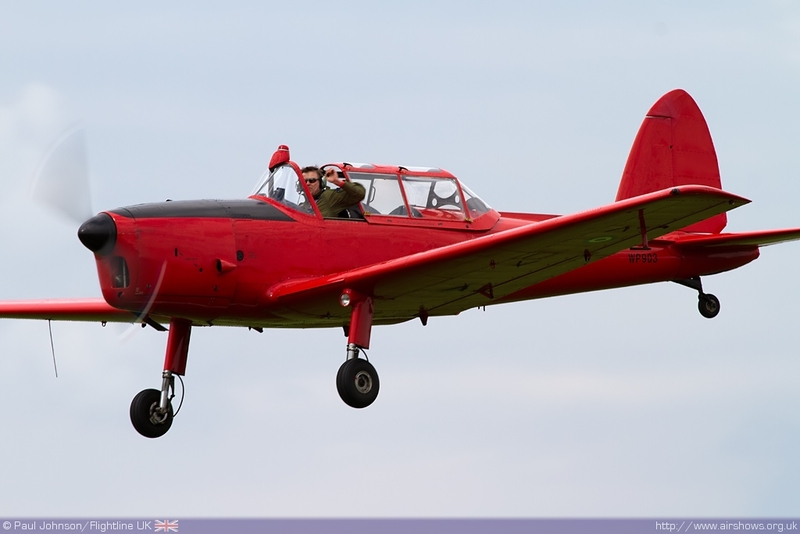 Sywell Aerodrome has become a very popular place to be. 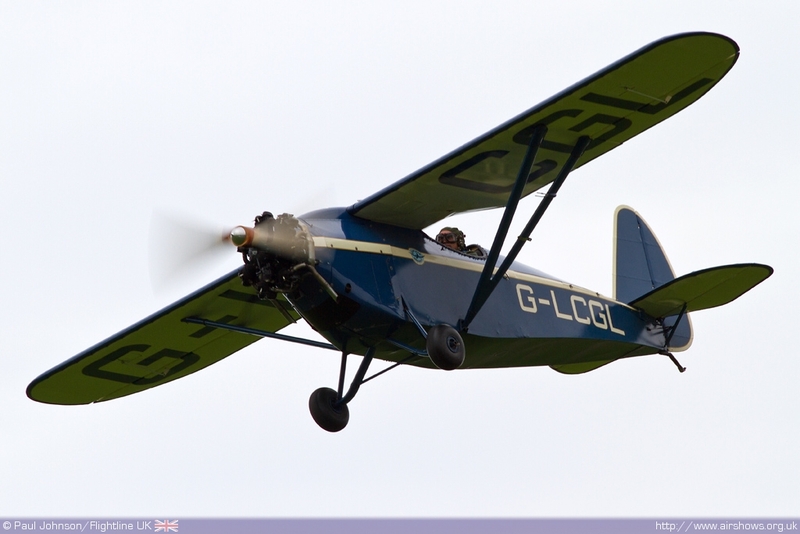 The airfield has seen some massive development in recent years with the development of a hotel and hard runway on the attractive 1930’s aerodrome. 2Excel and The Blades are based at the airfield and regular use it for some impressive corporate events as well as training. 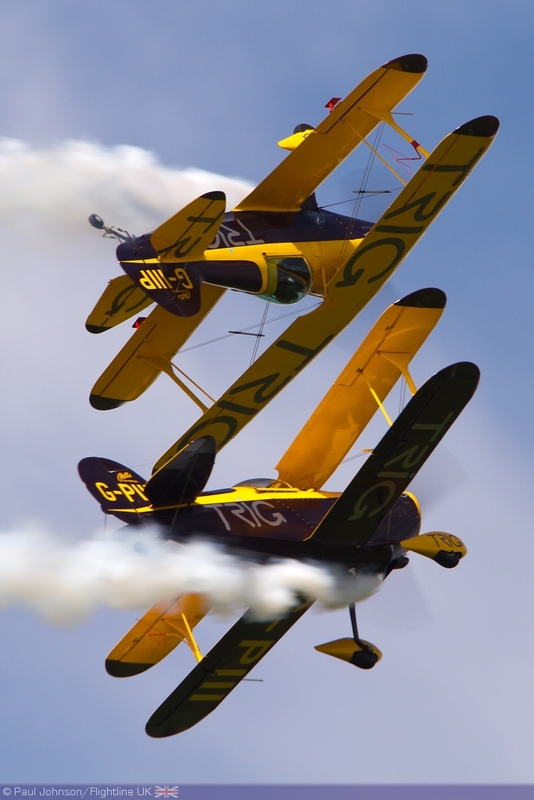 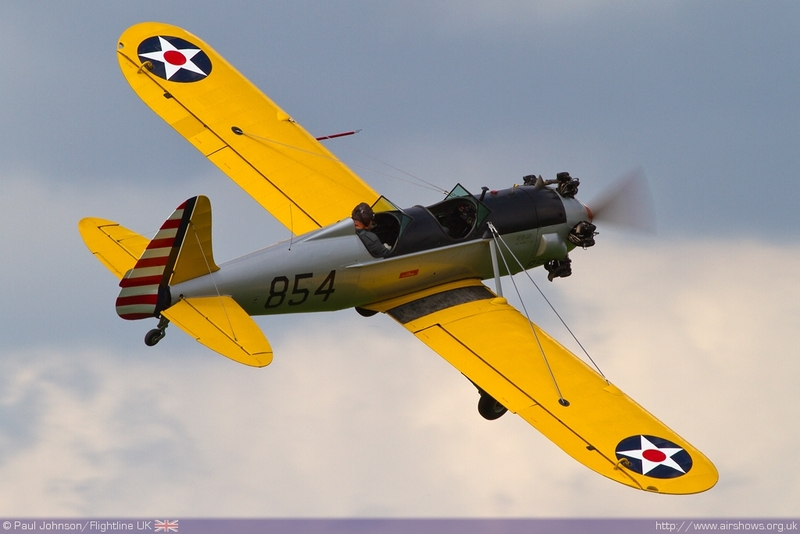 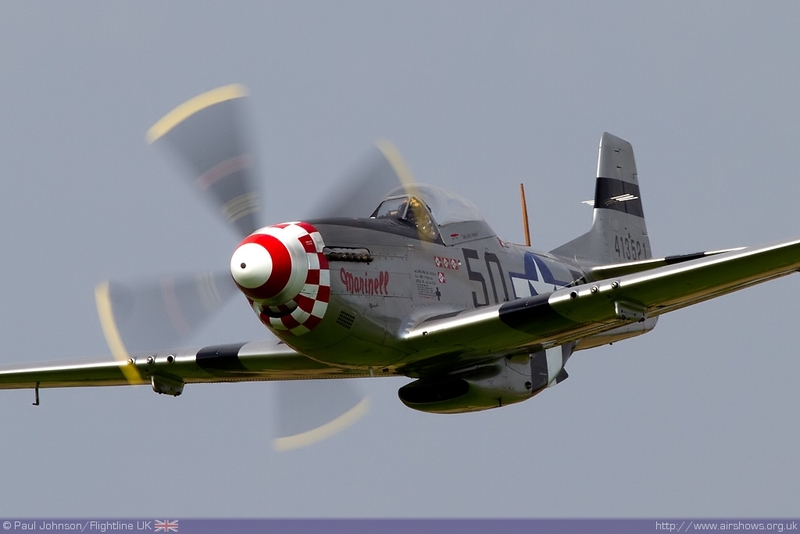 Sywell hosts a number of events, but the biennial Sywell Airshow is perhaps its crown jewel. 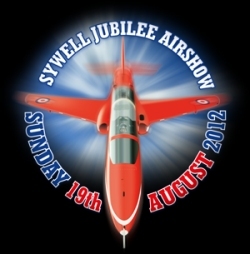 For 2012 the airshow managed to have a weekend to itself and some glorious very warm summer weather. Like many airshows, Sywell was celebrating the Diamond Jubilee as its major theme. 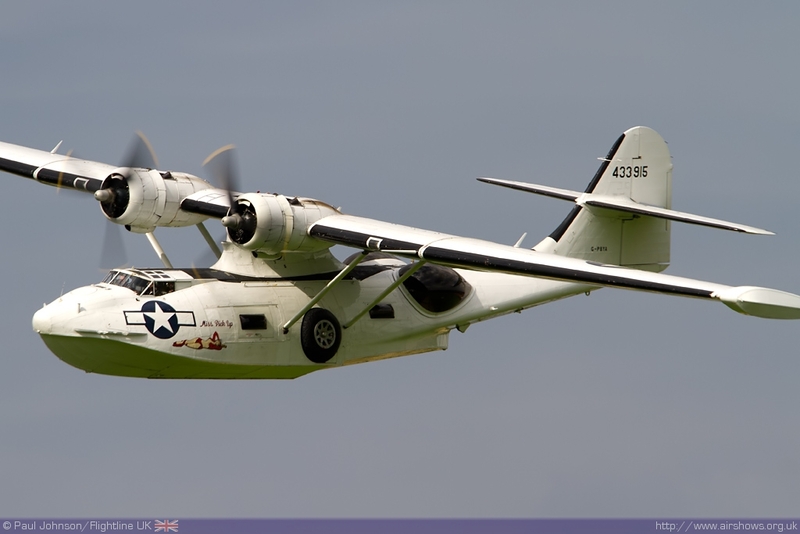 However Sywell managed to put together a very unique and enjoyable flying display bringing together some aircraft that you just would not see anywhere else. 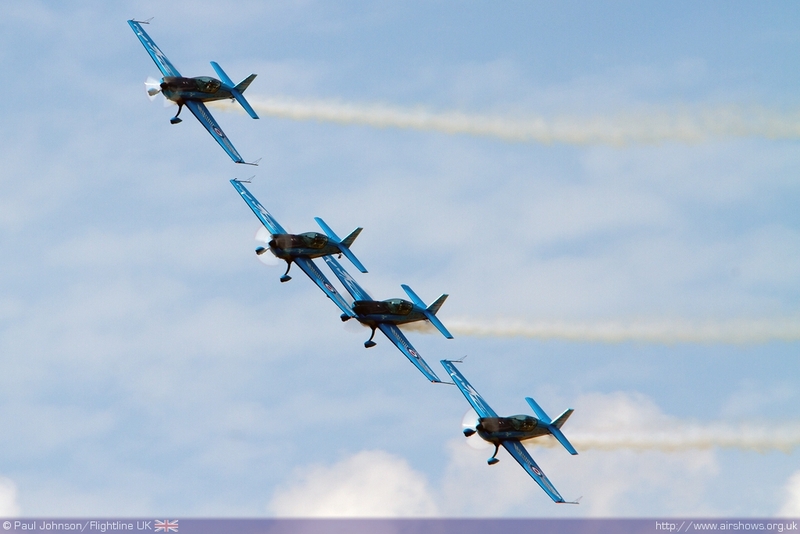 The flying displays were opened by the home team, the Blades, who put on one of their best displays I’ve ever seen them perform keeping the display extremely compact with some extremely well flown formation and solo aerobatics. 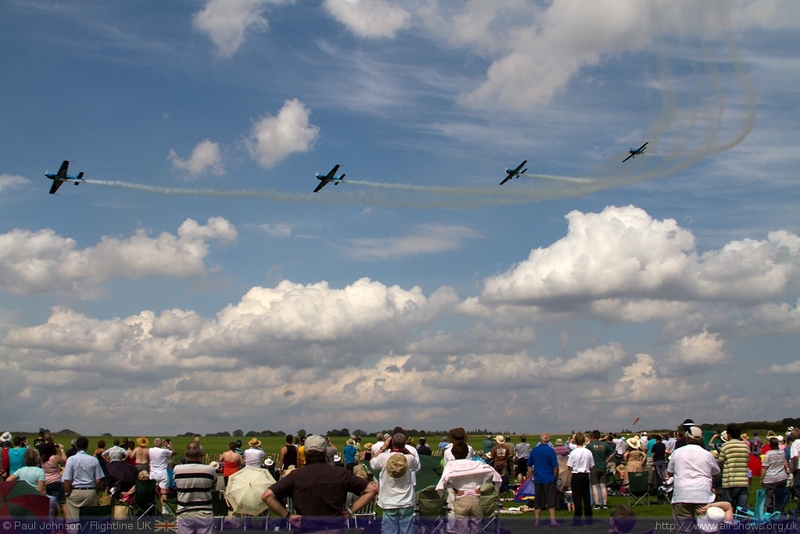 The Blades were just one of a host of civilian display teams that contributed to the flying display. 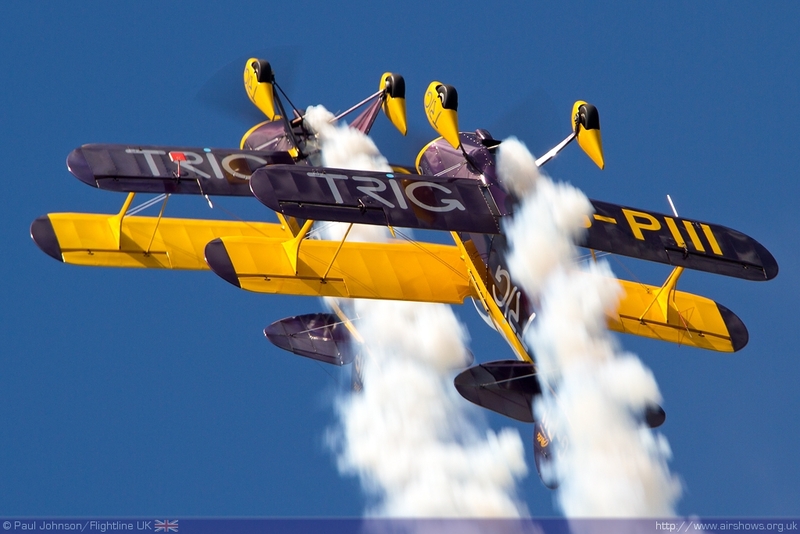 Further formation excellence was demonstrated by the TRIG Aerobatic Team and the SWIP Team flying Pitts S-1D Specials and Silence Twisters respectively. 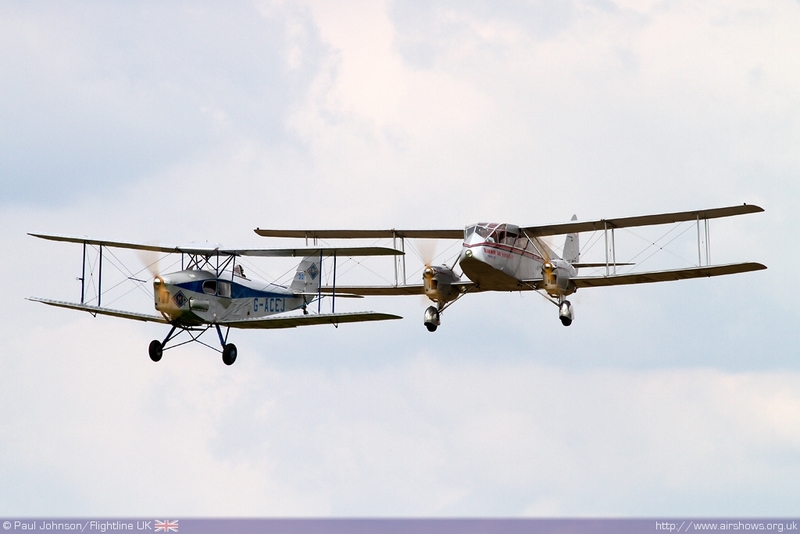 Barnstorming was also well represented by two very different display teams. 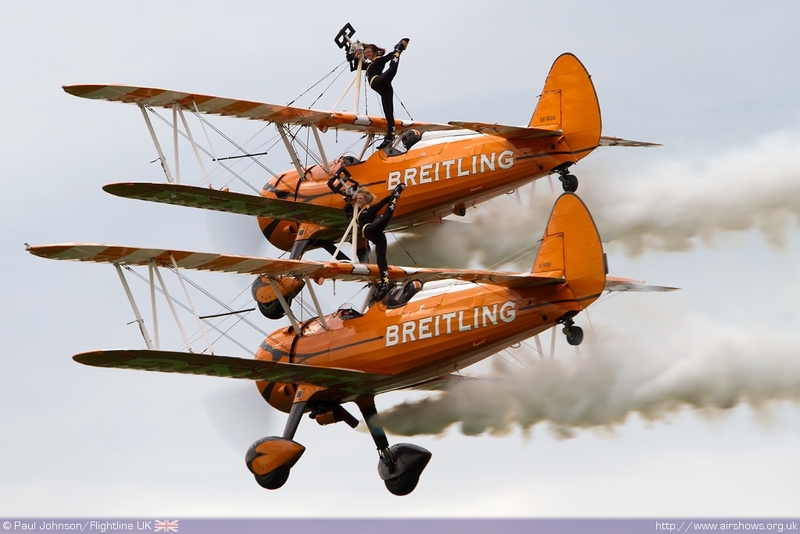 Captain Neville’s Flying Circus put on some traditional barnstorming antics including ‘Aerial Football’, Balloon Bursting and Limbo flying. 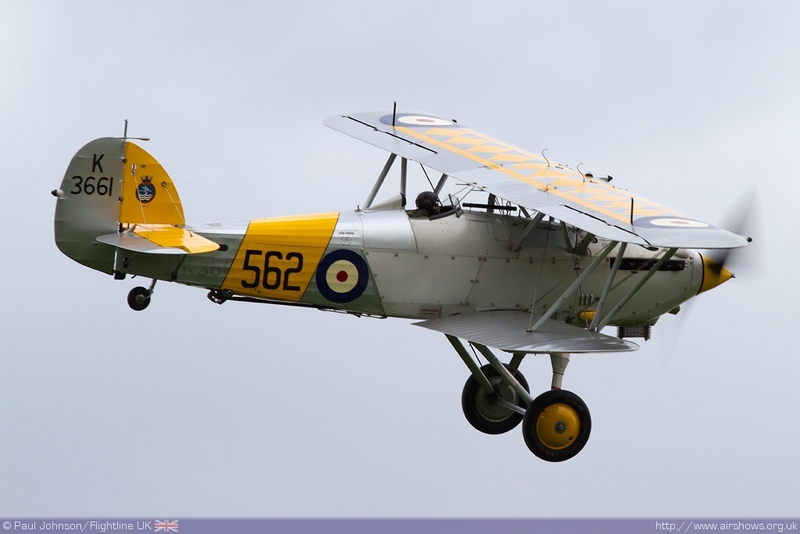 The unique aspect to the team is the diverse collection of aircraft the team flies with a pair of DHC Chipmunks, a Thruxton Jackaroo, a DH82b Queen Bee and a DH82a Tiger Moth. 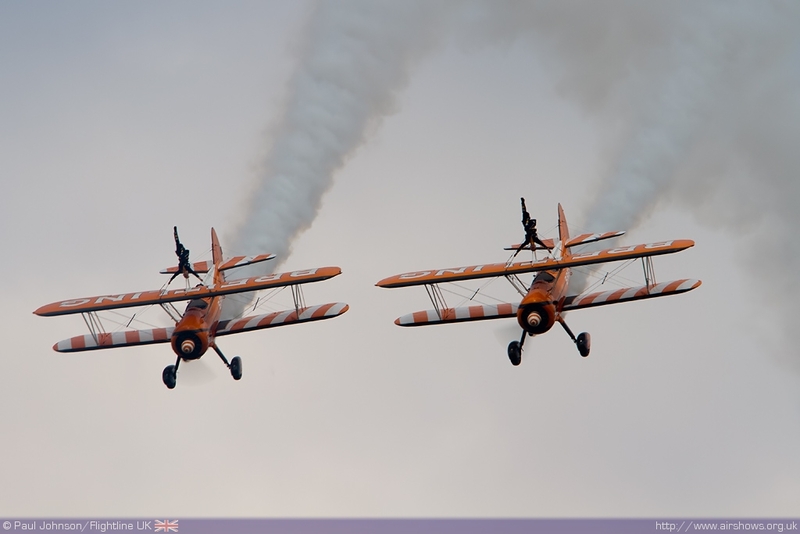 The Brietling Wingwalkers completed with Barnstorming line-up with another brilliant and smoky display! 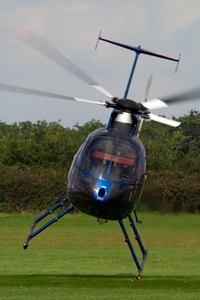 Another of the acts unique to Sywell as that given by Martn Lovell in the Skytech MD500 Helicopter. 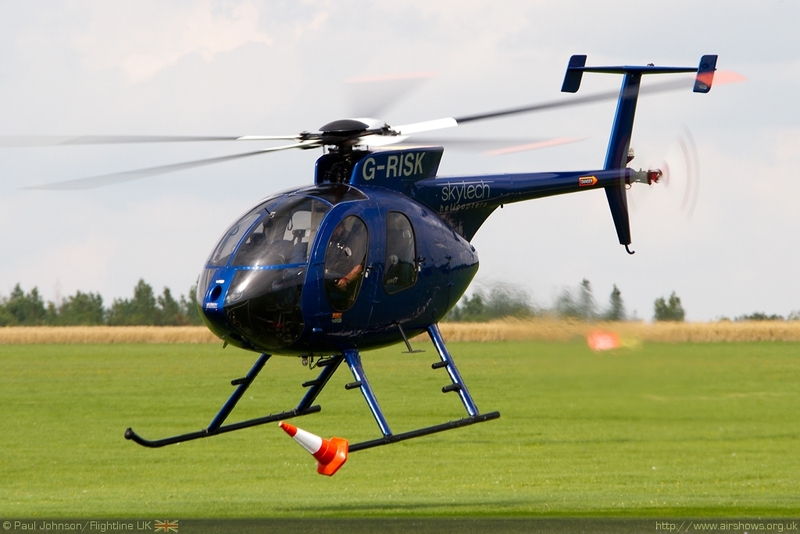 Martin's display is a masterclass of expert helicopter handling showing just what can be achieved by rotary aviation which the aid of a traffic cone! 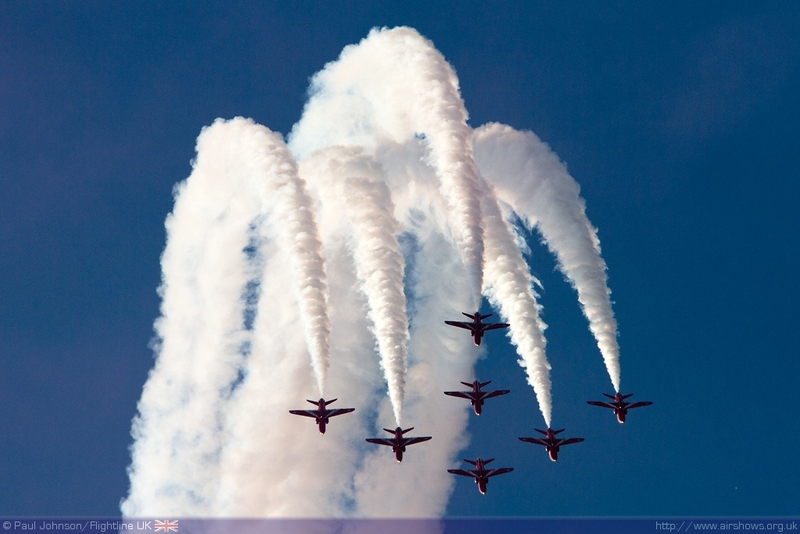 It was quite simply amazing to watch. 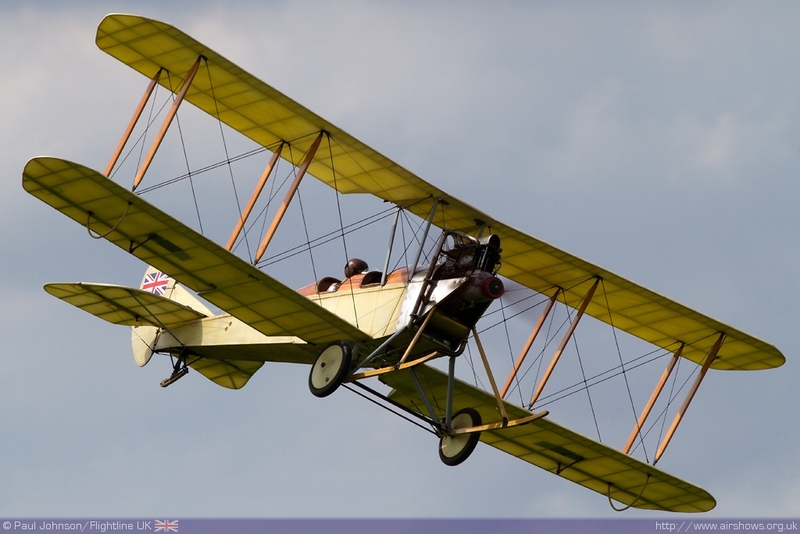 Sywell Aerodrome was an important transport hub during the 1930’s for the nearby city of Northampton. 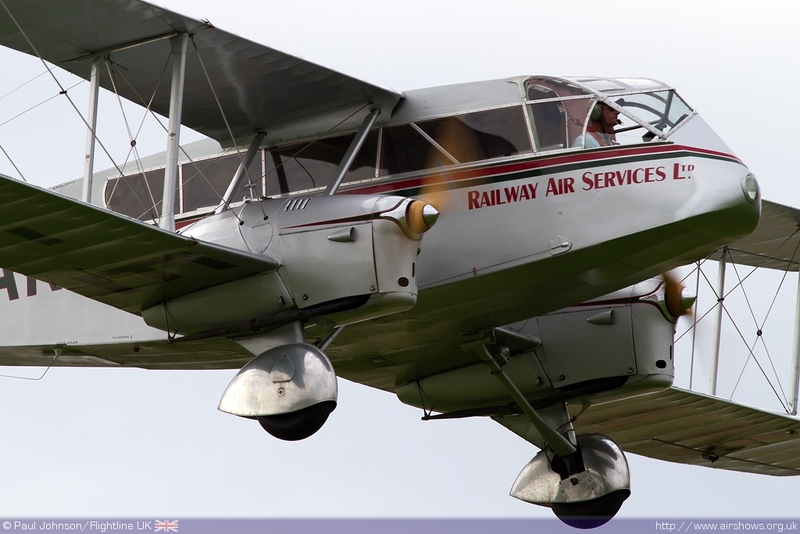 It was great to see such a large collection of 1930’s civilian aviation types as part of the flying display to celebrate the early days of the aerodrome. 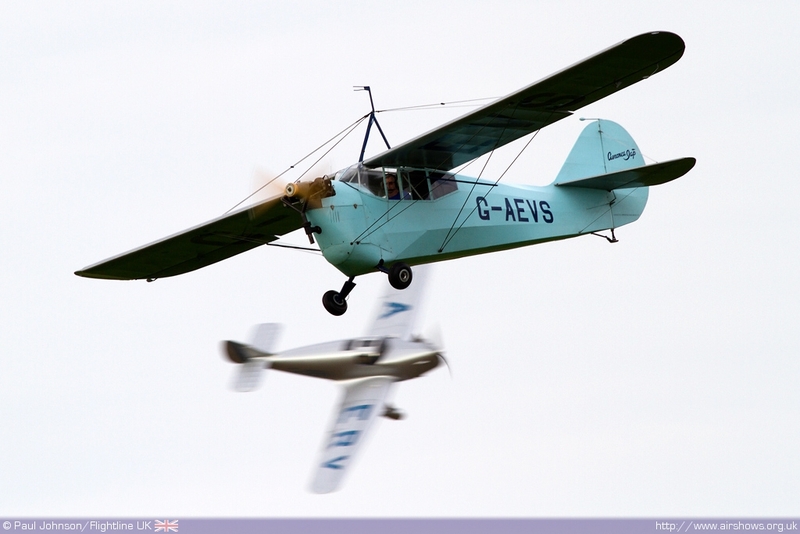 There were some lovely pairing of early airliners with the de Havilland Dragon joined by de Havilland Fox Moth for a number of flypasts. 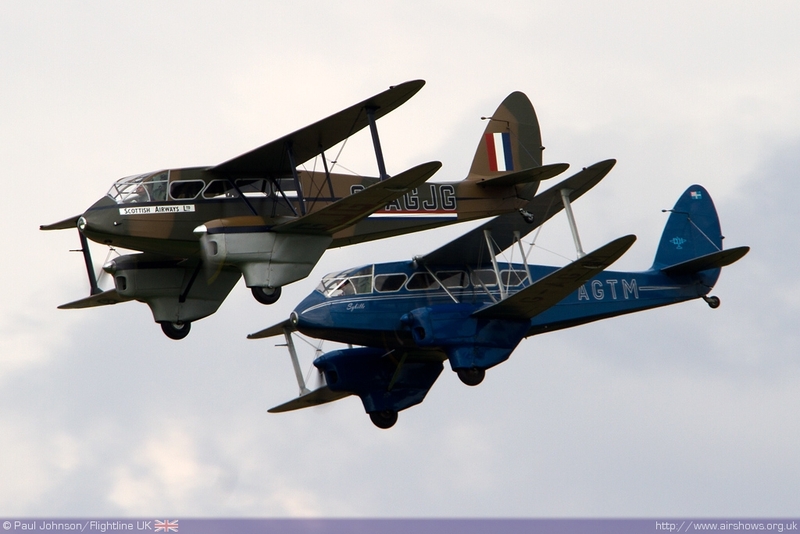 Further de Havilland airliners came in the form of Air Atlantique’s and DM Miller’s DH89a Dragon Rapides providing another attractive formation routine. 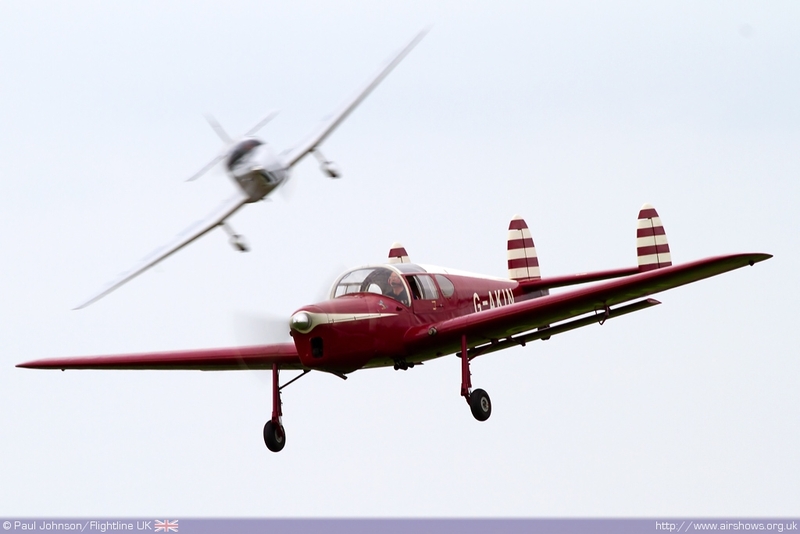 1930’s sporting aviation also played an important part in the afternoon flying display with a recreation of an air race over the expansive grass of the aerodrome. 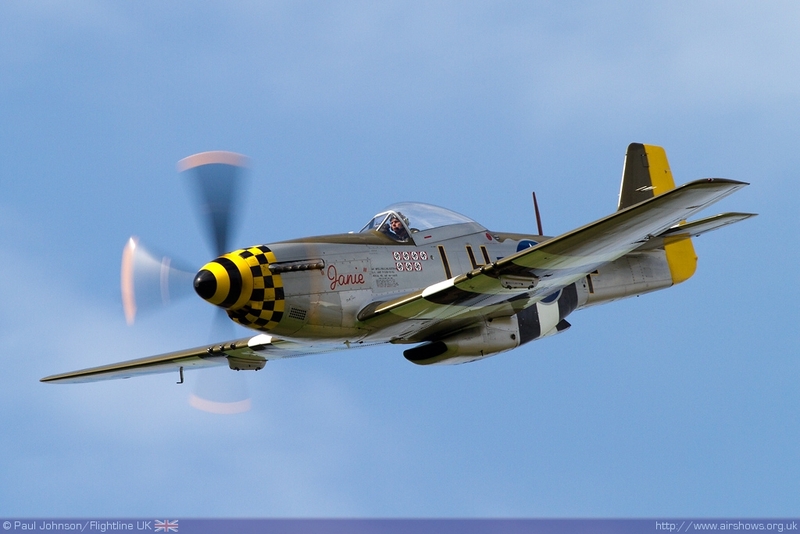 The race included an incredible collection of types, many of which do not normally feature at other airshows. 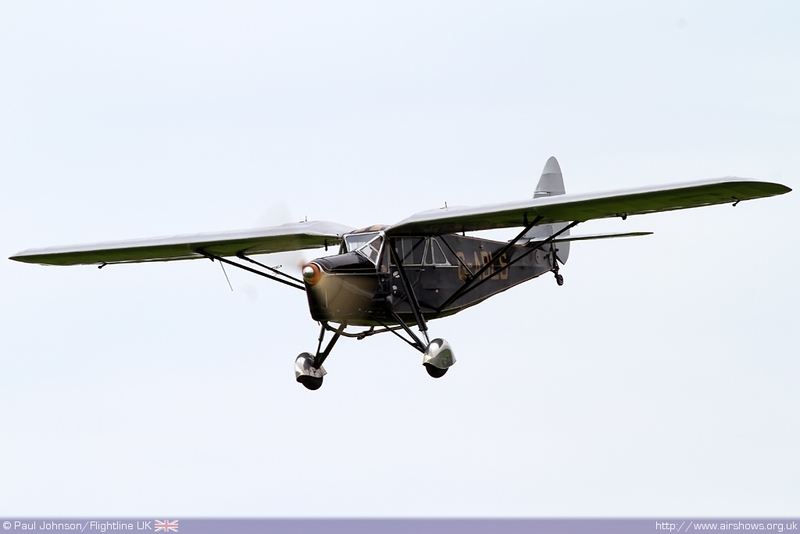 A small Aeronca took on aircraft like the De Havilland Leopard Moth, the Miles Witney Straight, the Miles Messenger and a Comper Swift. 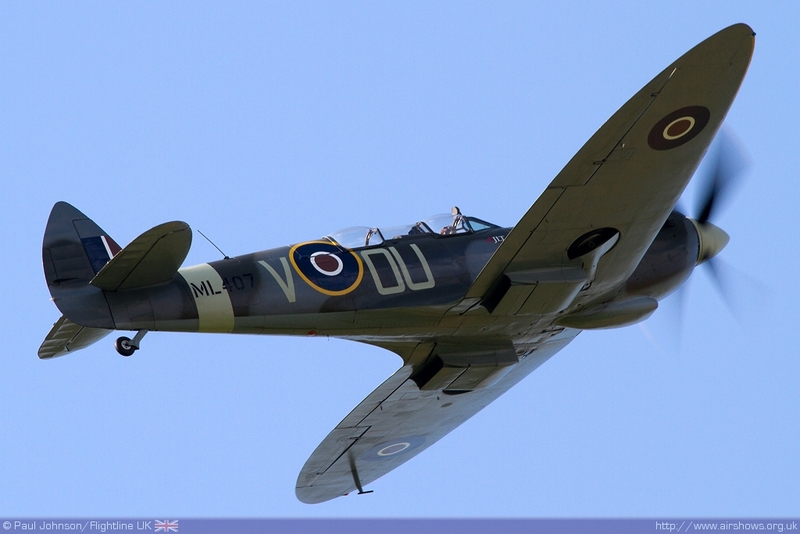 As well as the civilian historics, there were plenty of warbirds to whet the appetite. 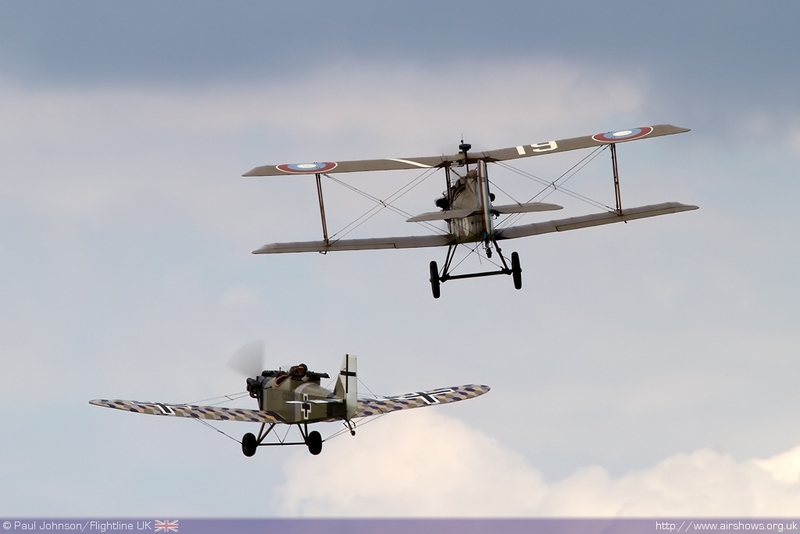 Perhaps the most unique sight over Sywell during the afternoon was a truly epic World War One scenario. 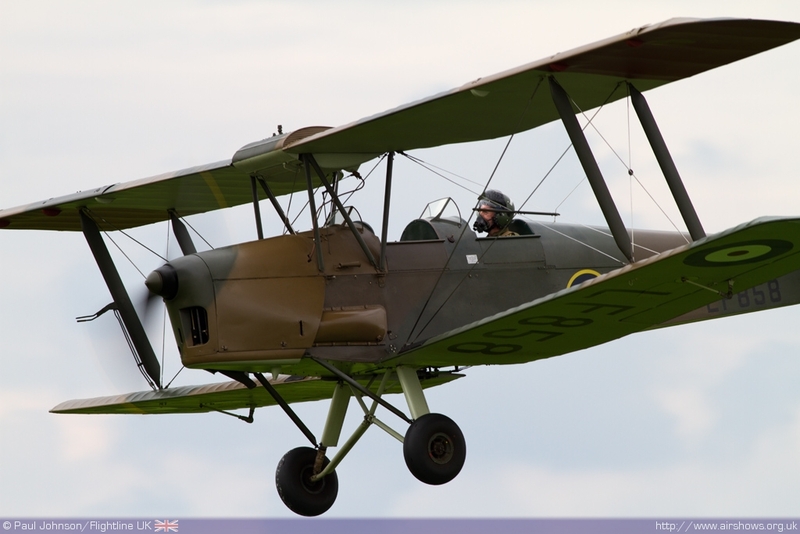 The Great War Display Team is a regular attendee at airshows across the country and the full team was at Sywell. 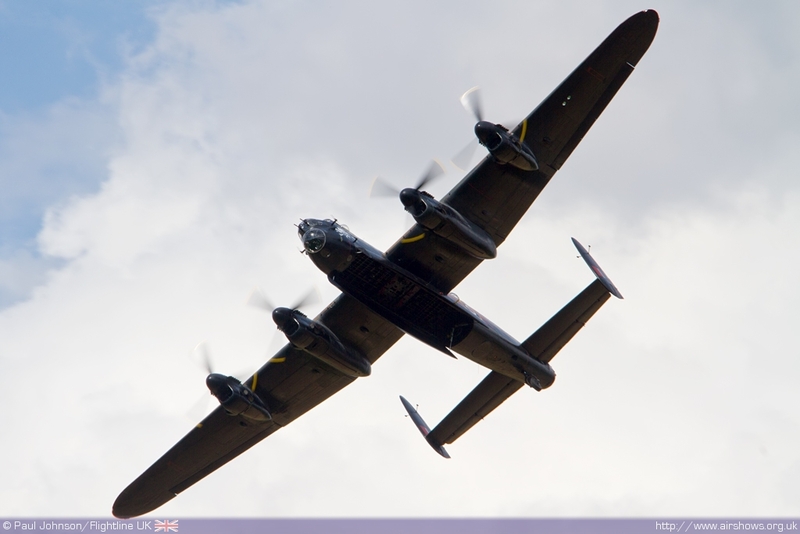 However their numbers were boosted by some special guest participants. 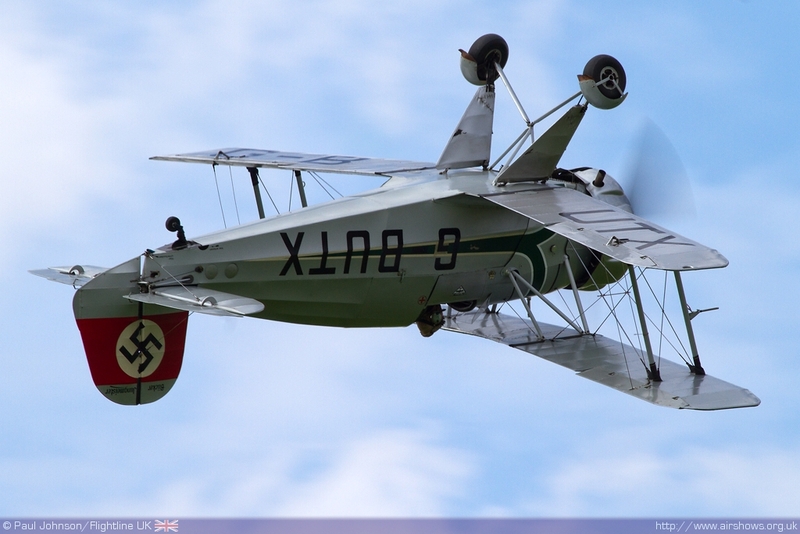 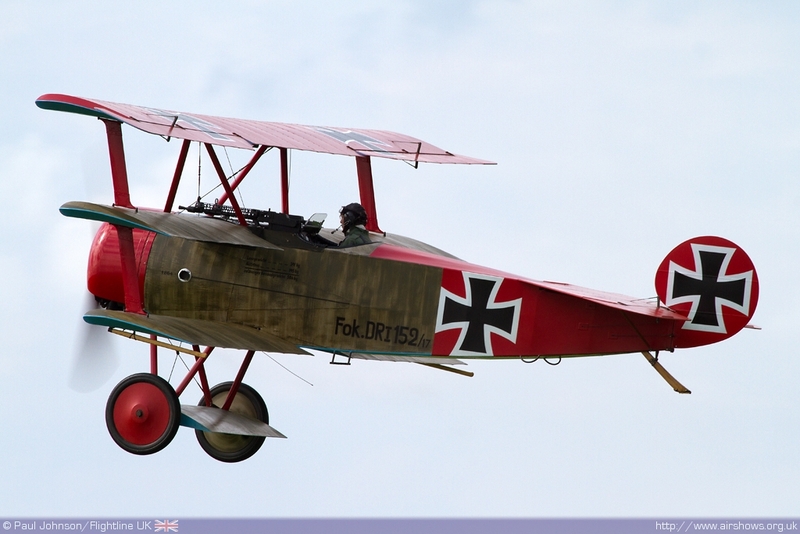 Two further Fokker Triplanes joined the dogfight including the Sywell based Jasta Binks operated Red Baron replica. 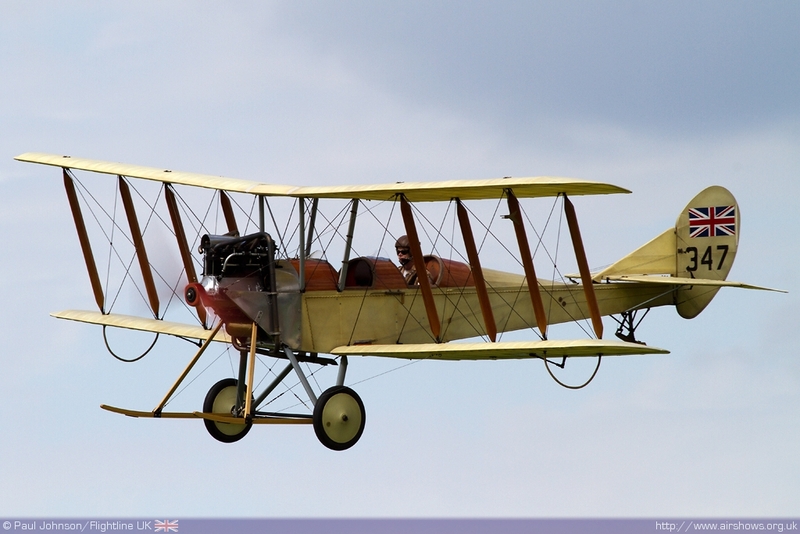 But the most outstanding aircraft in the display was Matthew Boddington’s beautiful BE2 replica. 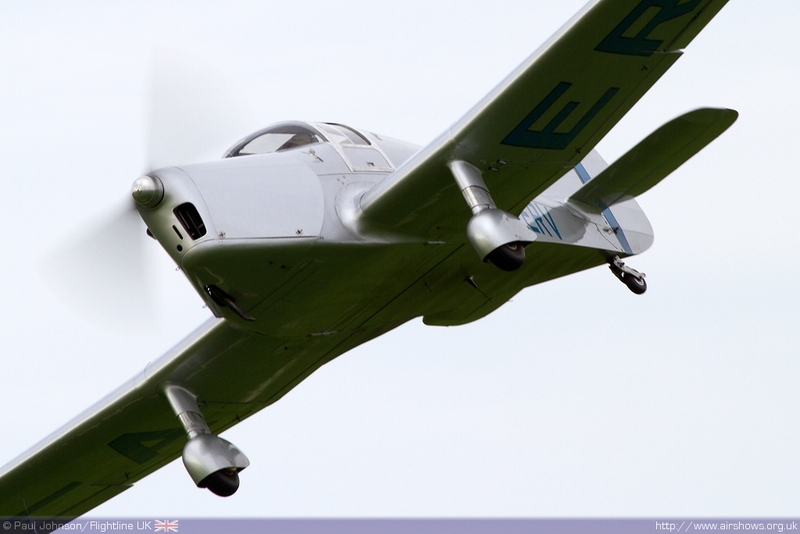 This aircraftis a stunning piece of engineering and craftsmanship and I hope it can be seen more widely at airshows in the future. 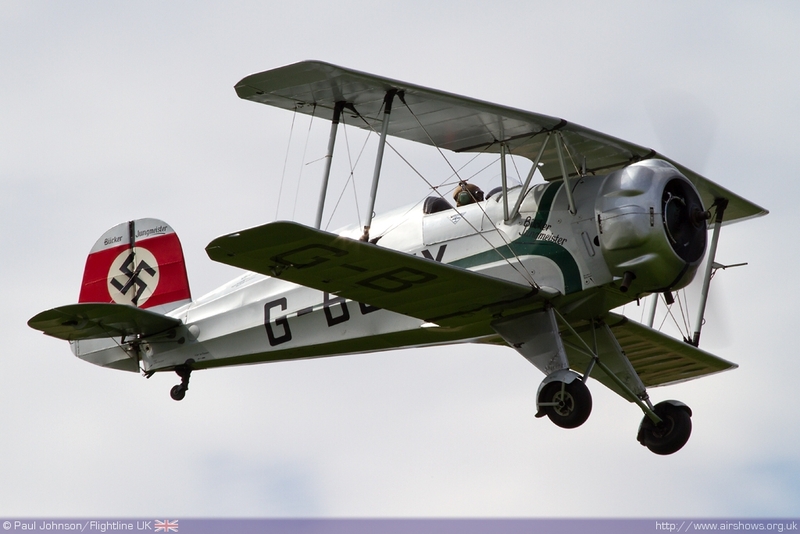 The 1930’s theme was continued in military form too with a number of pre-Second World War types. 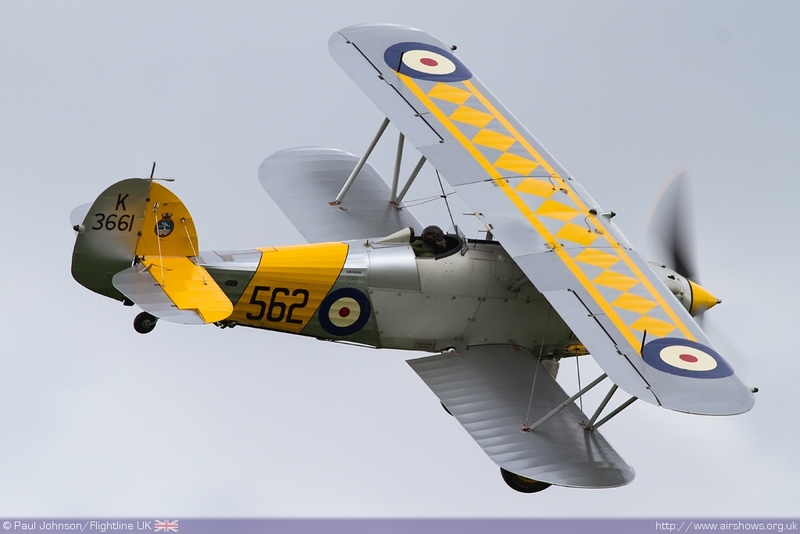 Dave Harvey flew the Historic Aircraft Collection’s elegant Hawker Nimrod to represent the very best of British biplane design while a number of different training types represented American and German efforts before the outbreak of World War Two. 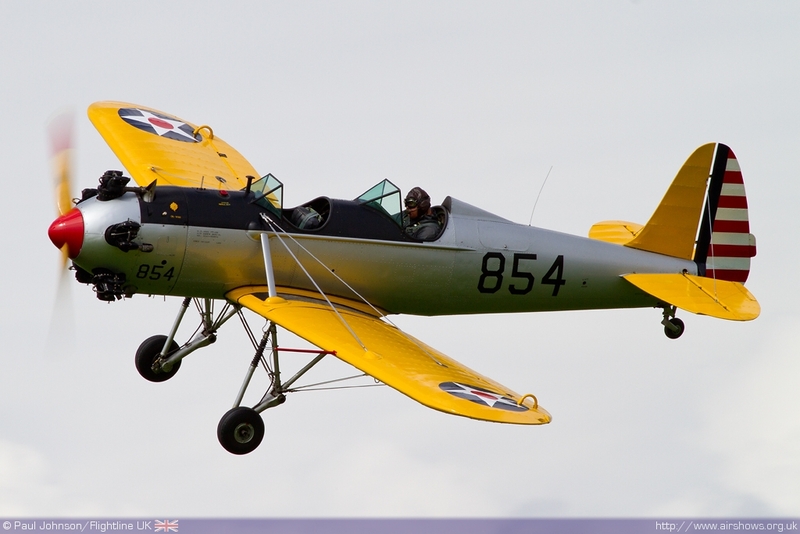 Richard Piper flew the Ryan PT-22 Recruit for the crowds with it wonderful engine sound while Will Greenwood and Alex Smee represent German training aircraft with the Bucker Bestmann and Jungmeister pair. 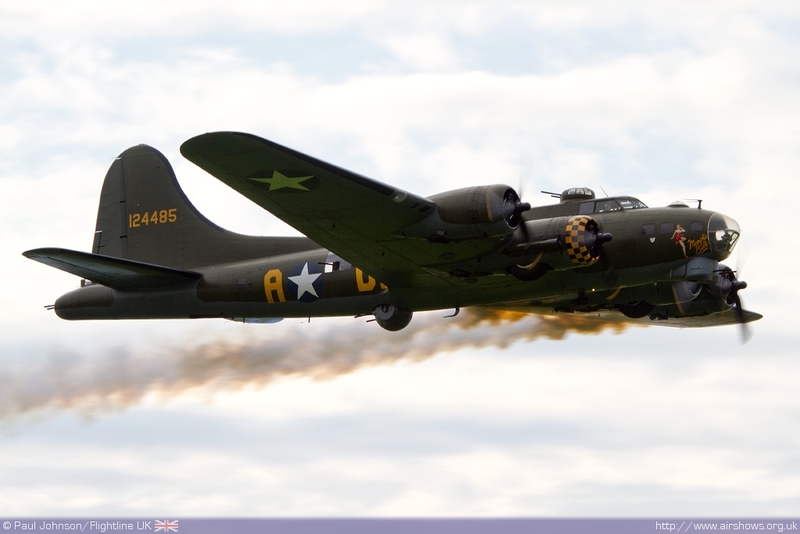 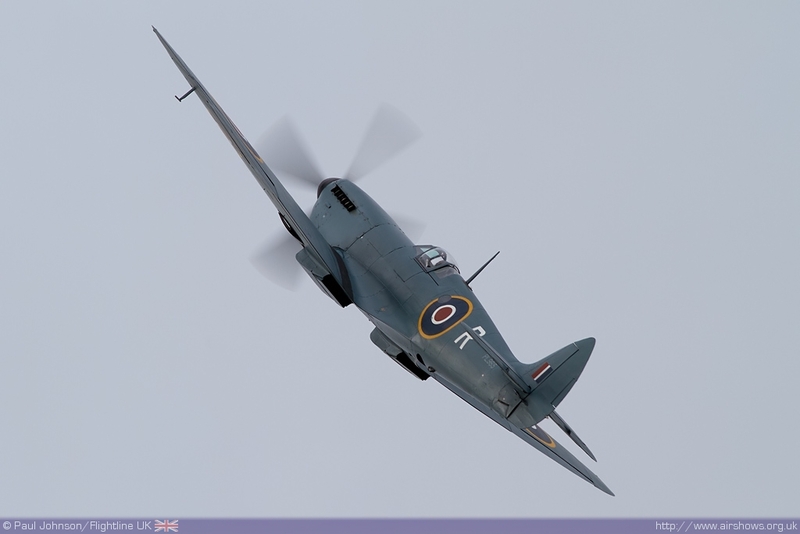 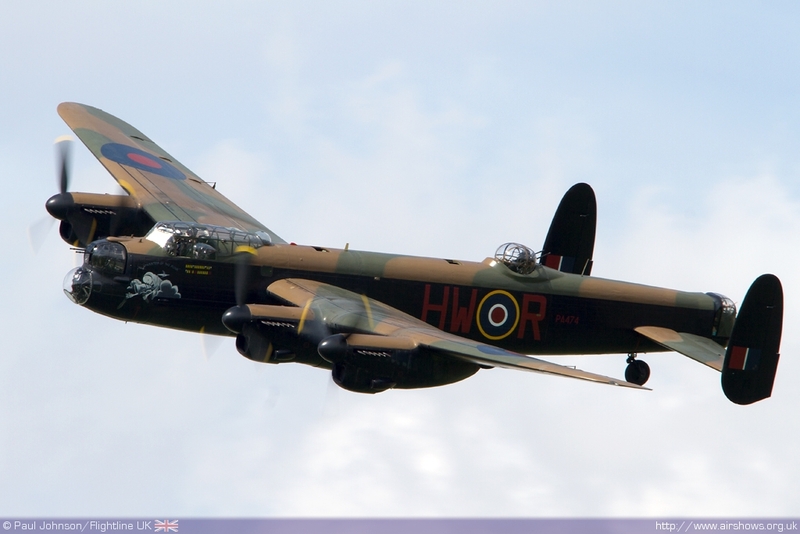 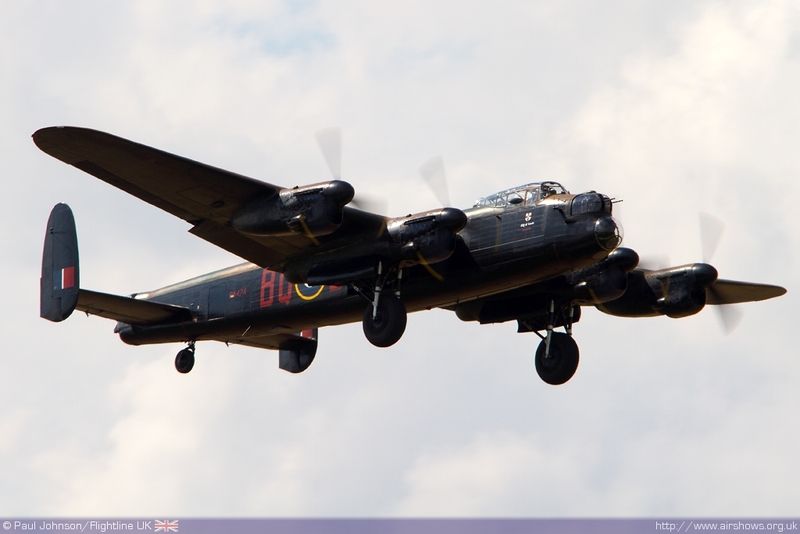 The potent ‘heavy iron’ of the Second World War also made up a significant part of the flying display. 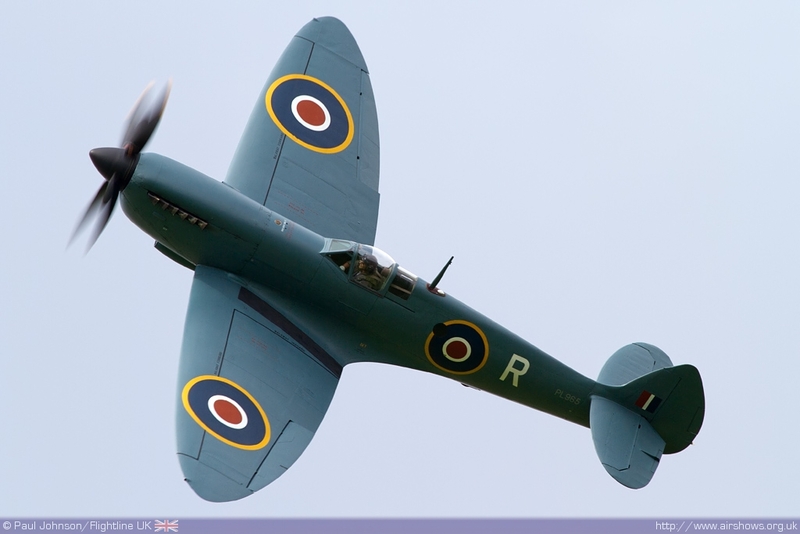 There were two different Spitfire displays. 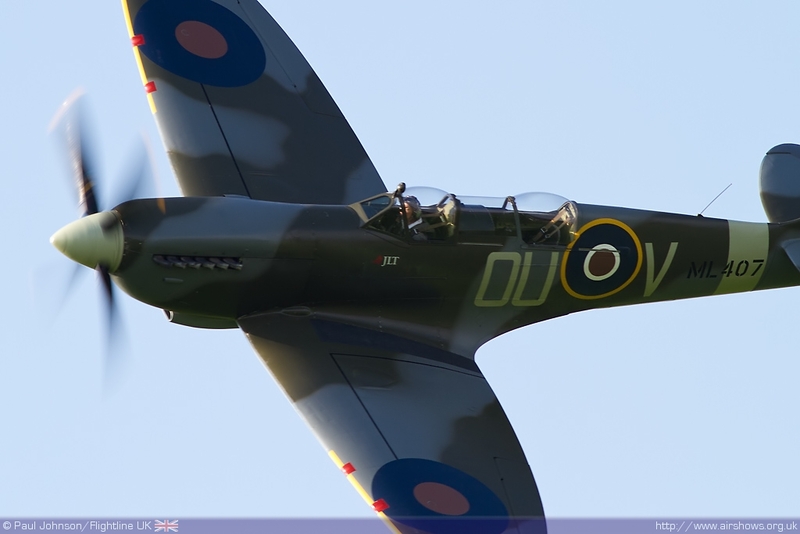 Peter Teichman and Carolyn Grace both performed delightful solo routines in the Spitfire PRXI and Spitfire IXT respectively. 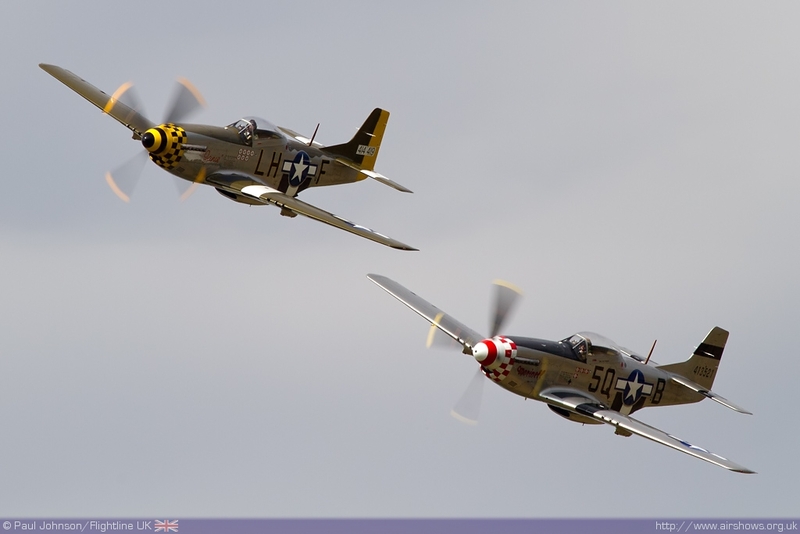 It was also great to see Maurice Hammond’s wonderful pair of P-51D Mustangs. 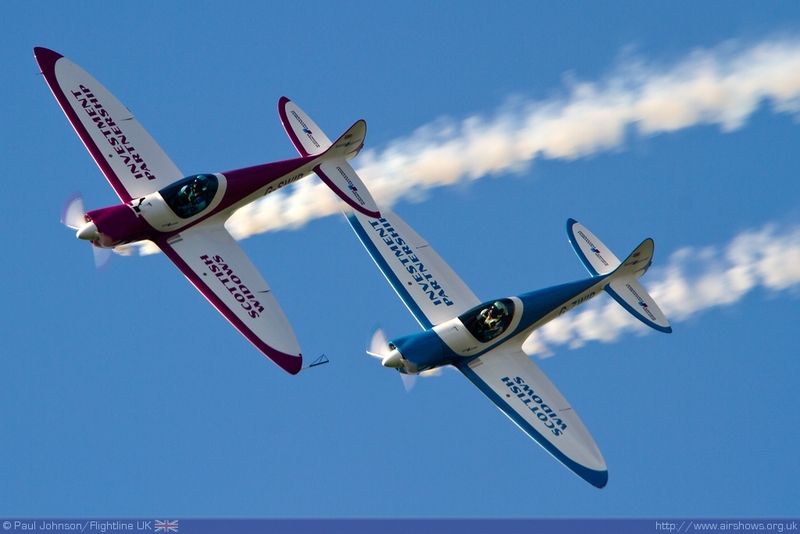 Both Maurice and Dave Evans gave a powerful performance in Marinell and Janie in the blue Northamptonshire skies. 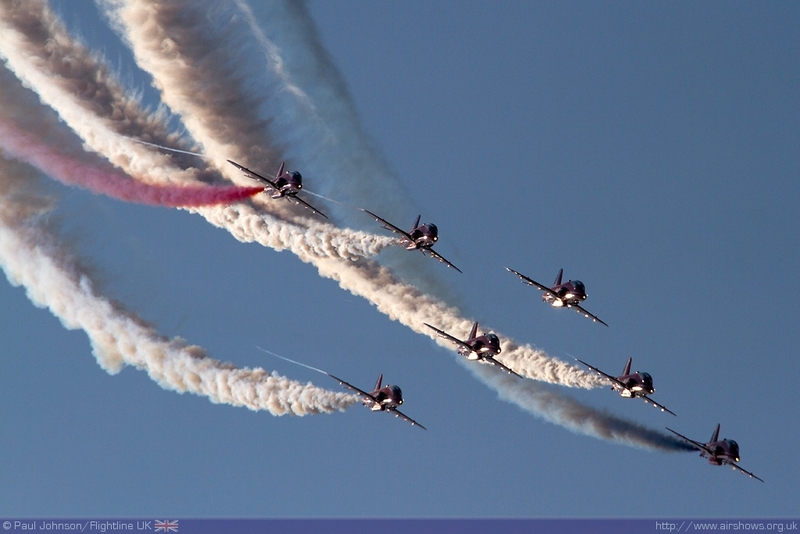 It is always very exciting to see large aircraft display within the confines of relatively small airfields. 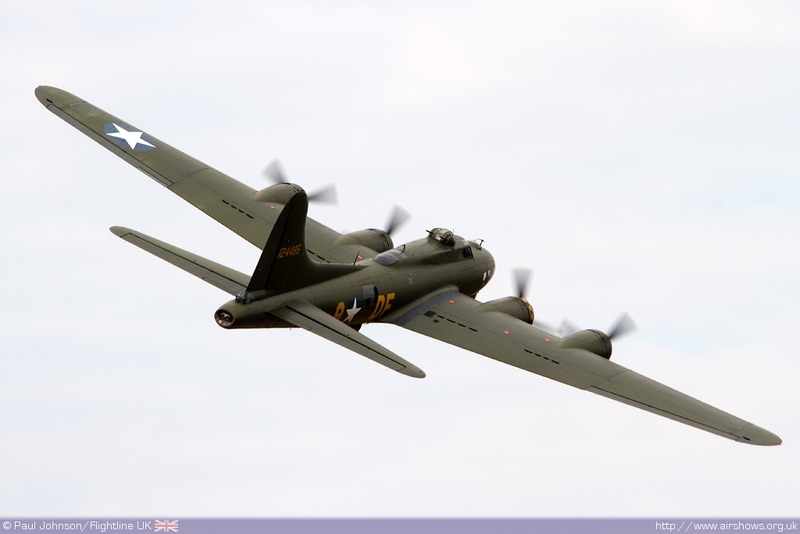 Sywell welcoming touring displays from both the Battle of Britain Memorial Flight Lancaster and B-17G Flying Fortress Sally-B. 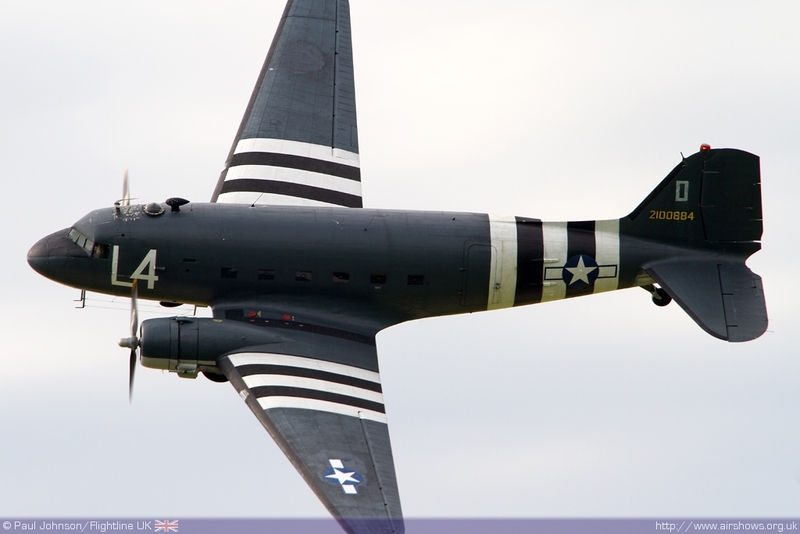 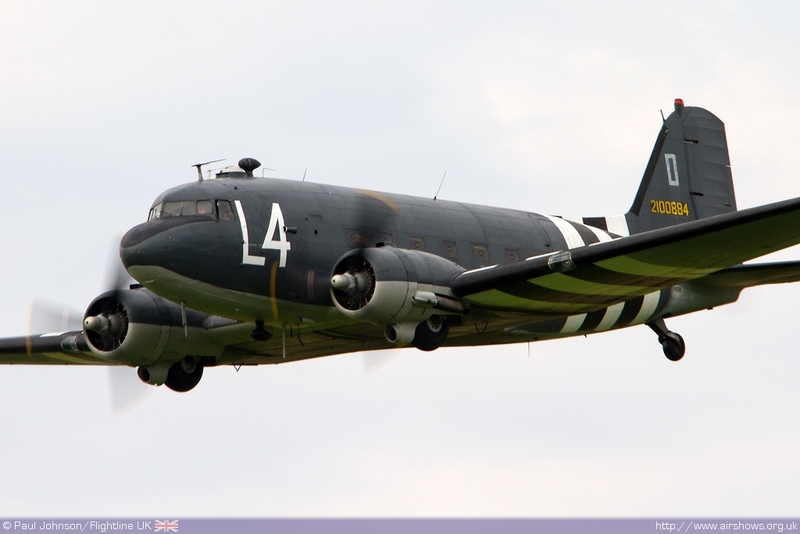 However the crowd also got to see the Plane Sailing Catalina and Aces High Douglas C-47 Skytrain (DC-3) operate from Sywell which was great to watch. 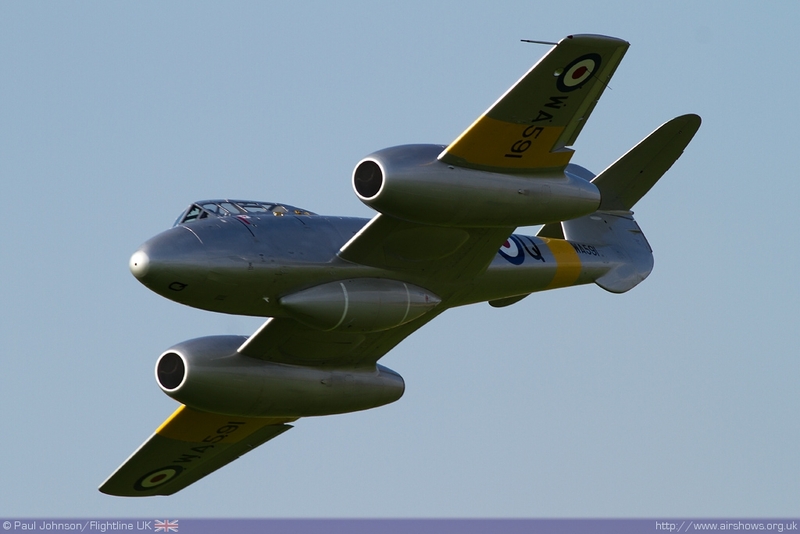 One of the outstanding highlights of the afternoon was the only classic jet display of the afternoon. 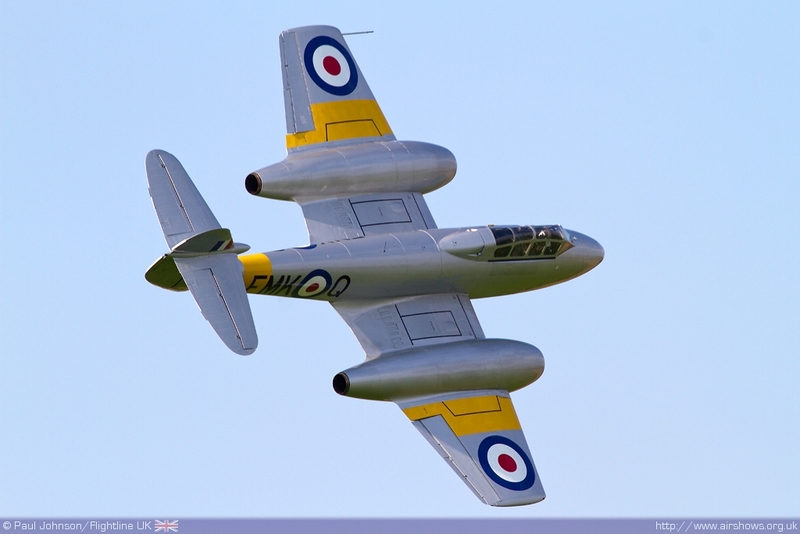 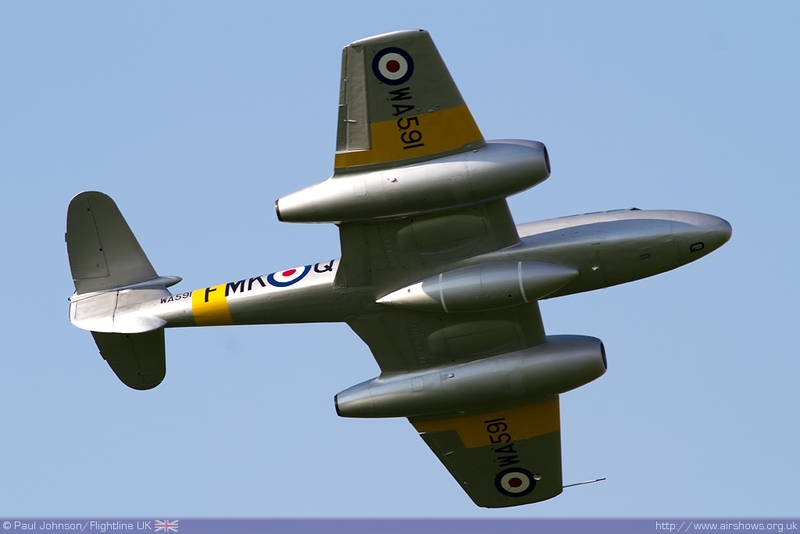 Dan Griffiths’ displays in the Gloster Meteor T7 are quite simply outstanding showing off the superb performance of the oldest British jet flying and currently the oldest airworthy jet anywhere in the world. However the biggest draw of the afternoon was undoubtedly the Red Arrows. 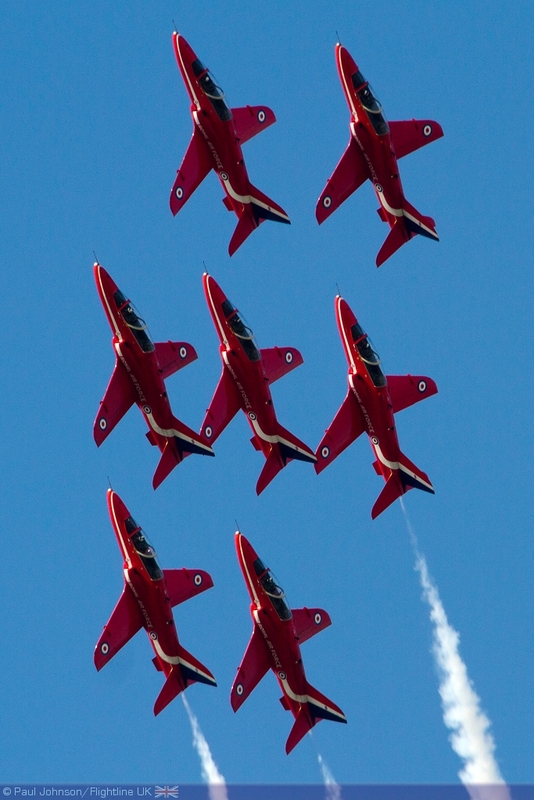 The Reds are always the highlight of any show and they clearly brought in the crowds to Sywell, but again as with The Blades I think this was possibly one of the best performances I’ve seen the team give this season. 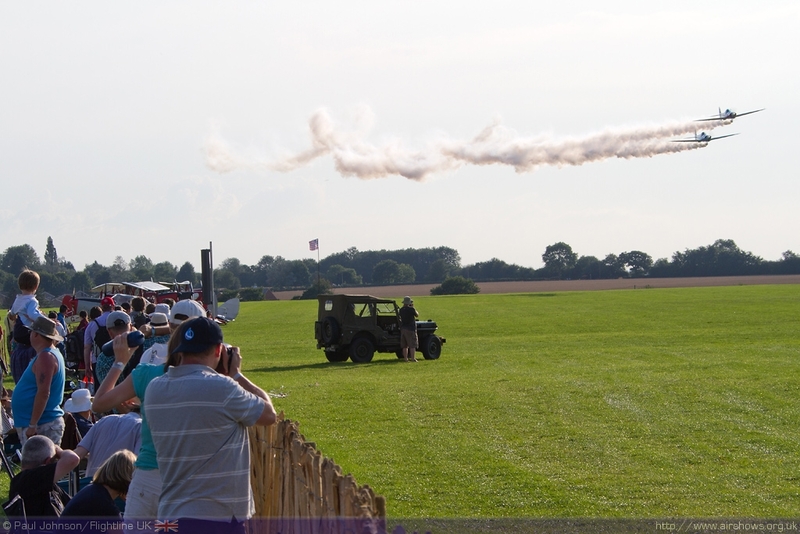 There was something about Sywell that seemed to suit their display and going by the crowd reaction their appearance was greatly appreciated by all. 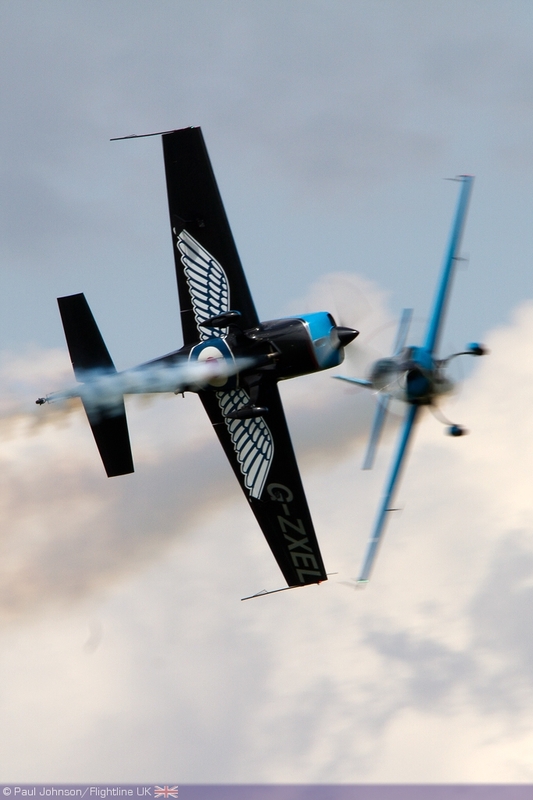 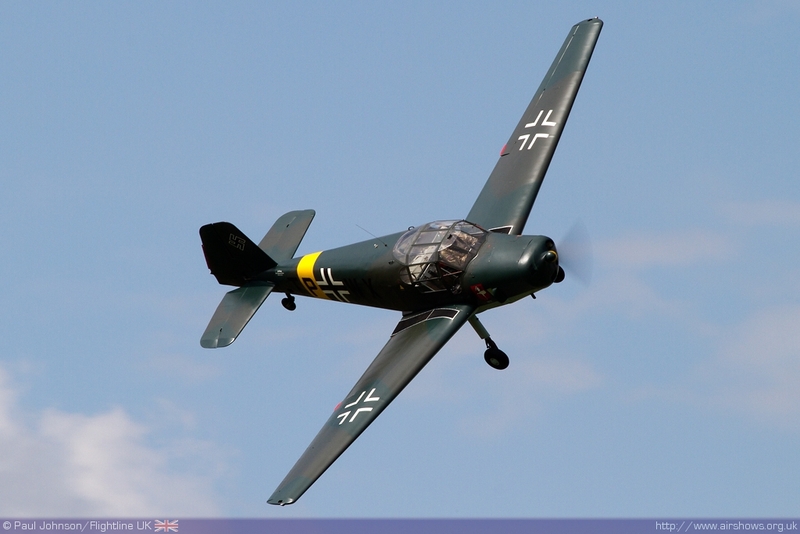 Some amazing flying displays made the Sywell Airshow a very, very special event. 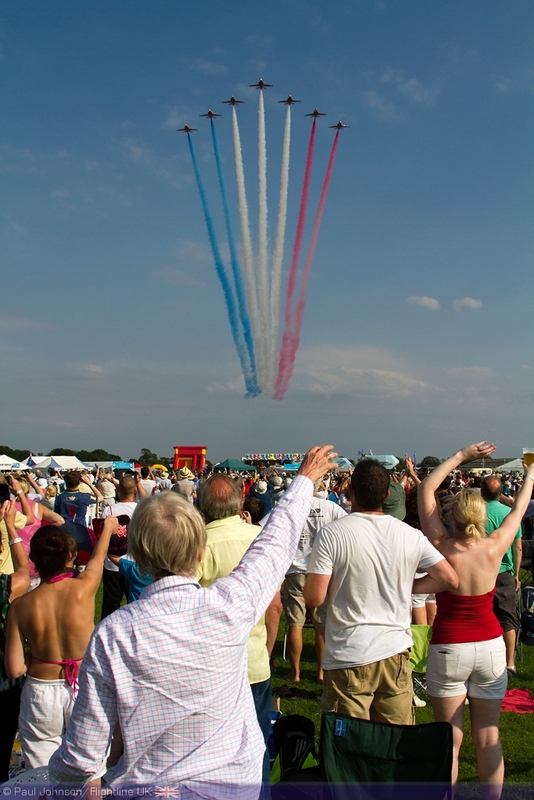 Matthew Boddington and his team have built up a superb event that has sets a very high standard. 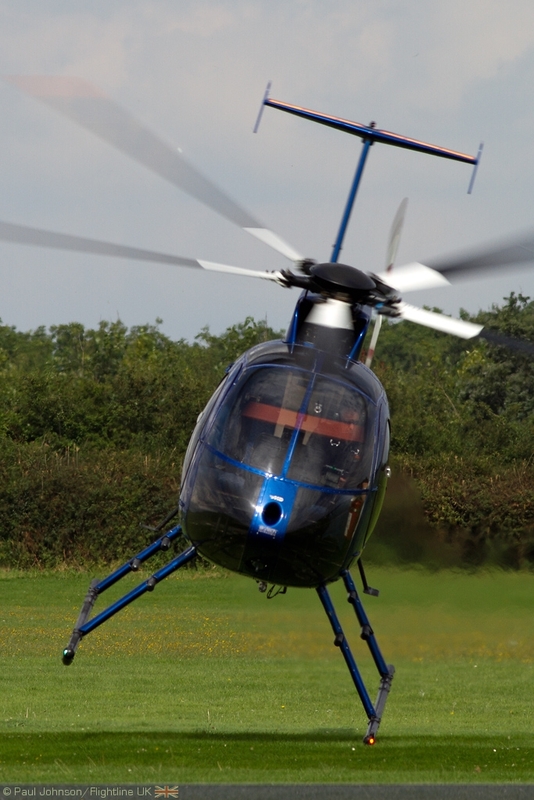 It is all the better knowing proceeds from the show support the vital local Air Ambulance service.